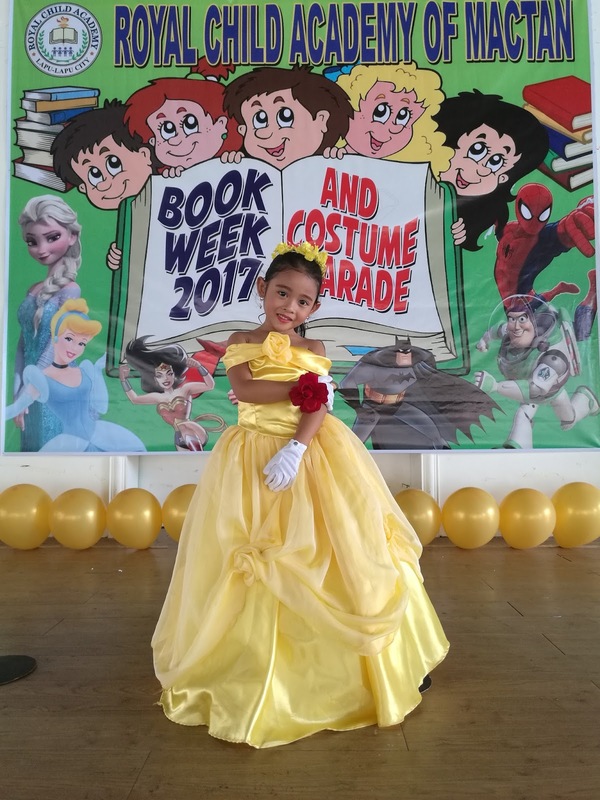 The Philippine Librarians Association, Inc. (PLAI) announced the 83rd National Book Week from November 24 to 30, 2017 with the theme “Libraries take action: Providing access and opportunity for all”. 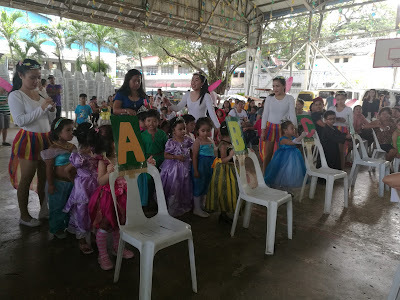 In this connection, my kids' school, Royal Child Academy of Mactan, prepared activities for this event for the FIRST TIME which is participated by preschools only from all four campuses of the said school. Here is the programme of the Book Week Culminating Activity. To start with, the school directress Ms. Anna Lissa Dinopol, also a book lover, stated the essence of this Book Week event. 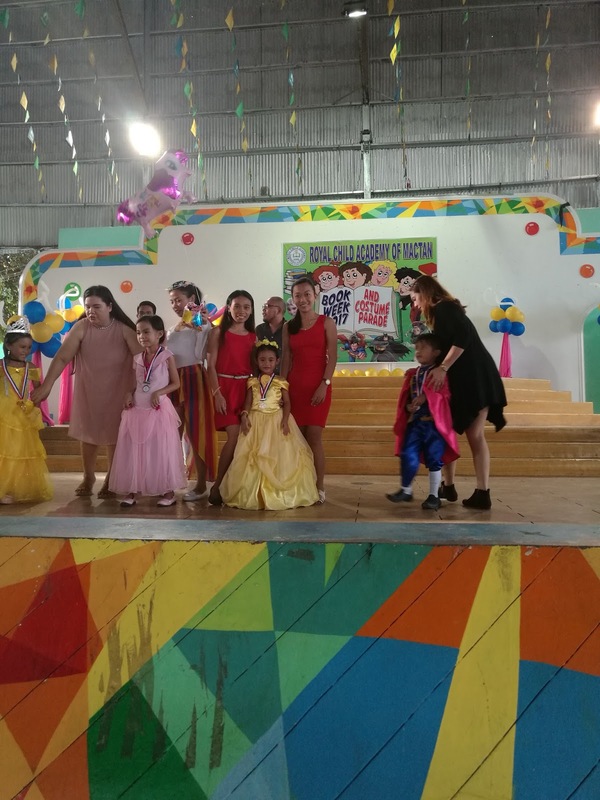 The pupils are wearing their chosen book character costume and the preschool teachers of 4 RCA campuses put on their fairy attire. 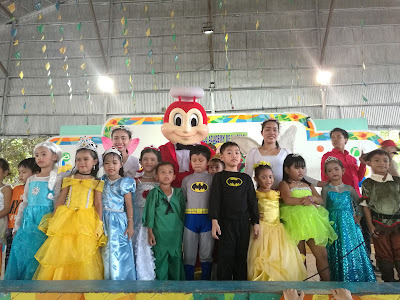 This is expected because in every event of this school, teachers and staff are dressed up. In the costume parade, each pupil introduced his or her name, the character he or she portrays and the best line or quote of the character or book or movie. Belle - Learn to love and earn love in return. Be my guest. 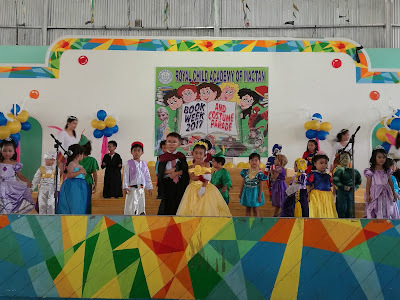 Lion King - And so we are all connected in the great circle of life. 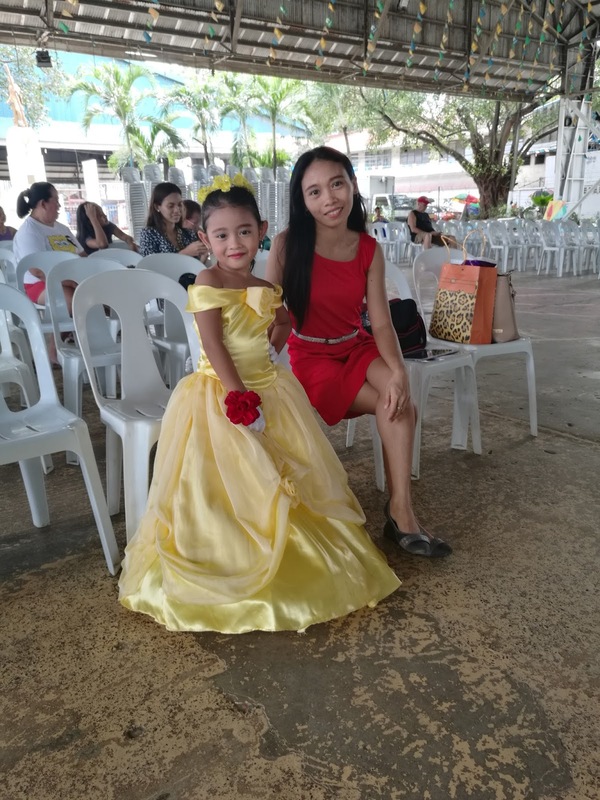 Rapunzel - Go live your dream. 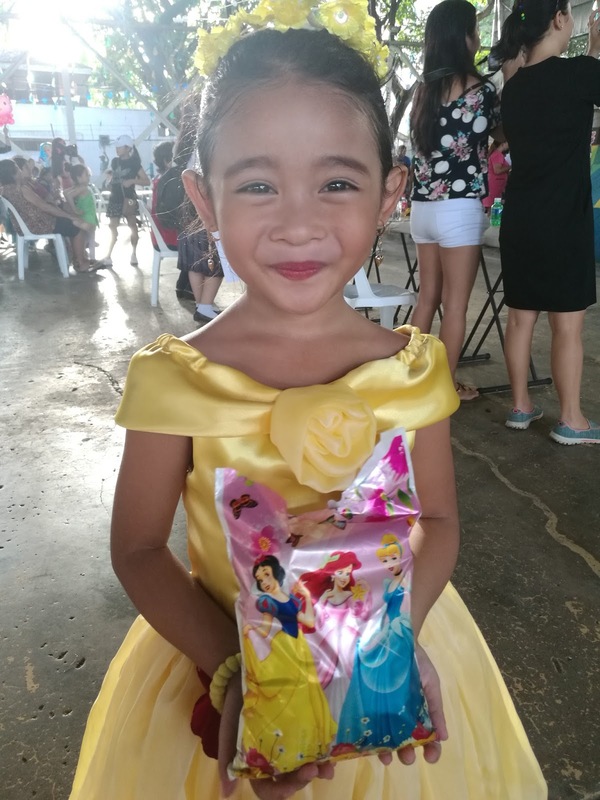 Cinderella - Have courage and be kind. Sleeping Beauty - True love conquers all. Harry Potter - The wand chooses the wizard. Peter Pan - Always think of happy thoughts. Batman - It's not who I am underneath, it's what I do that defines me. 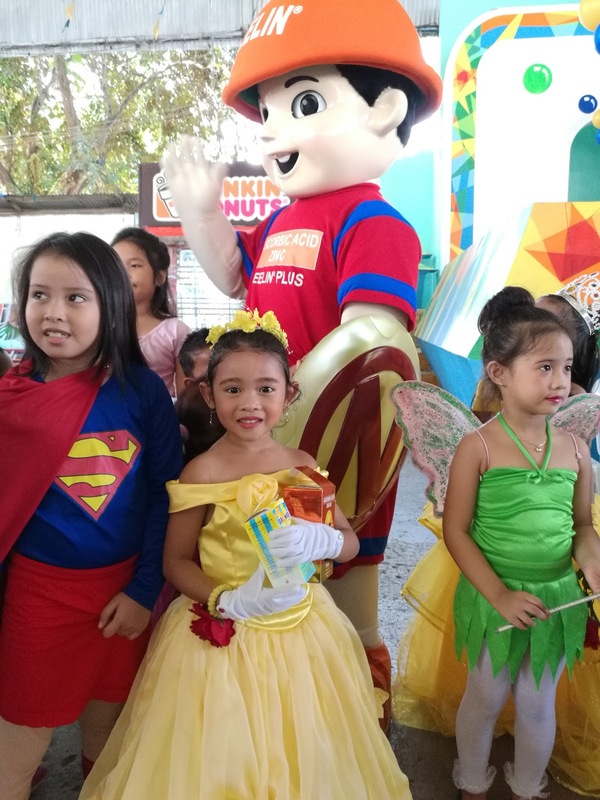 Kids of today, not all, almost forgot the fairy tales we had during our childhood because as what the school directress said, technology introduces to them the super heroes and heroine like the Avengers and Justice League. 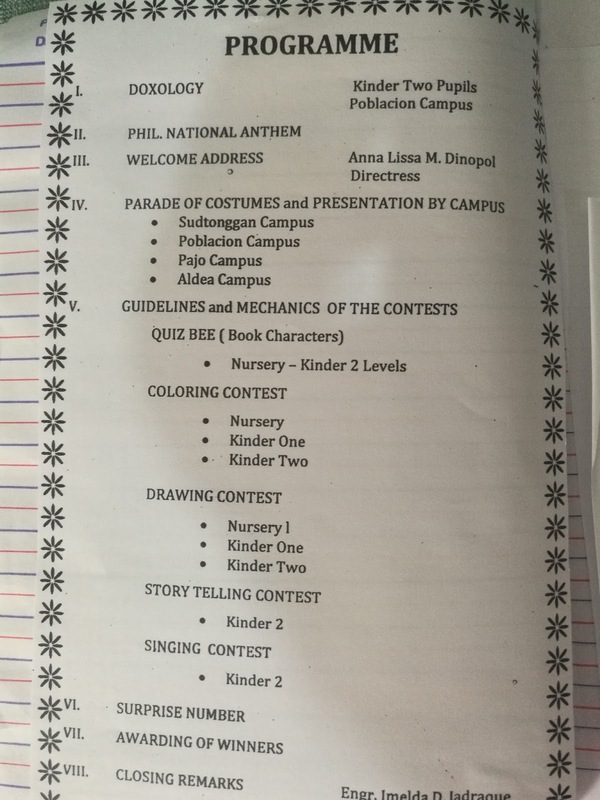 To refresh their knowledge, one of the activities is the Quiz Bee with questions that are all about children's books. 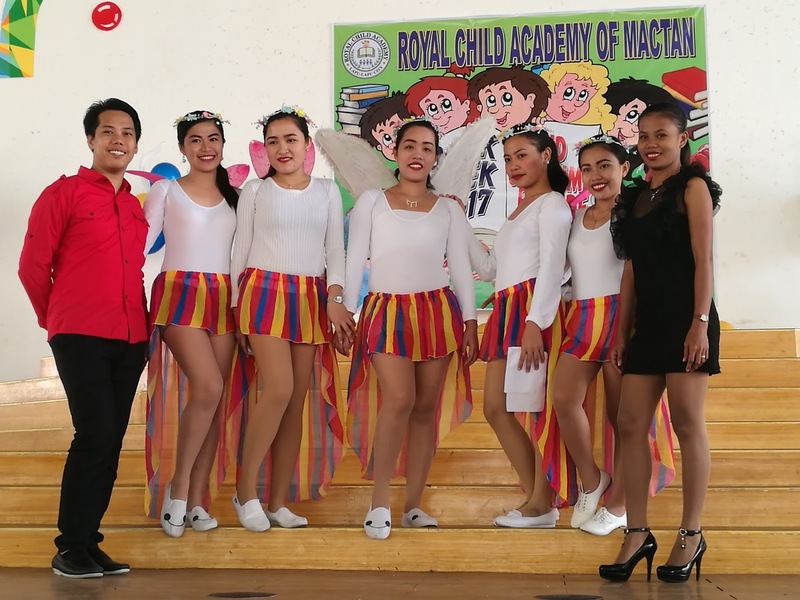 Royal Child Academy doesn't only give the usual dance or song presentations which I always rate a thumbs up. 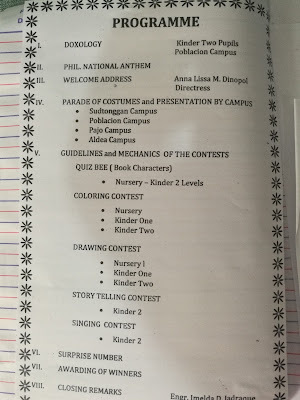 Drawing, coloring and storytelling contests are prepped up. 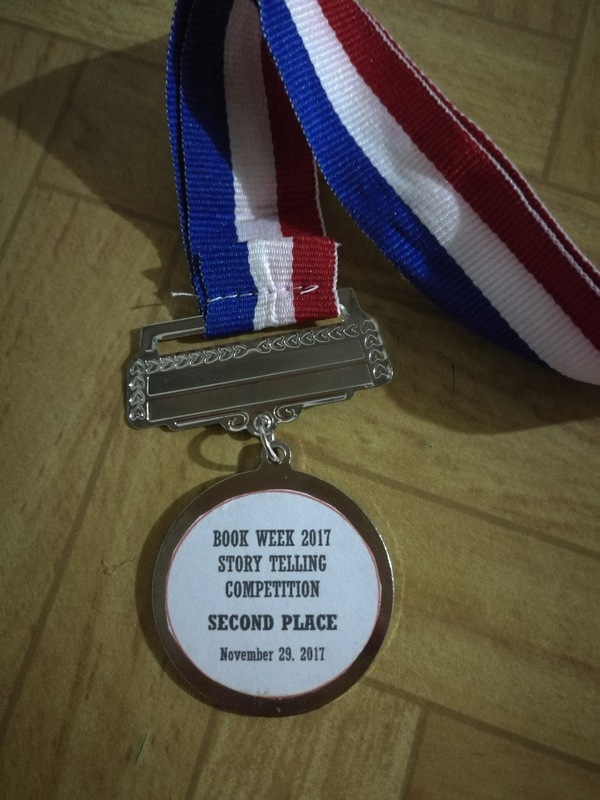 My daughter is one of the four contestants of storytelling. 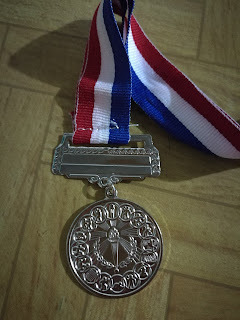 She may not memorized it but I am still proud to hear other parents' feedbacks as she can really read well already. She won the 2nd place. 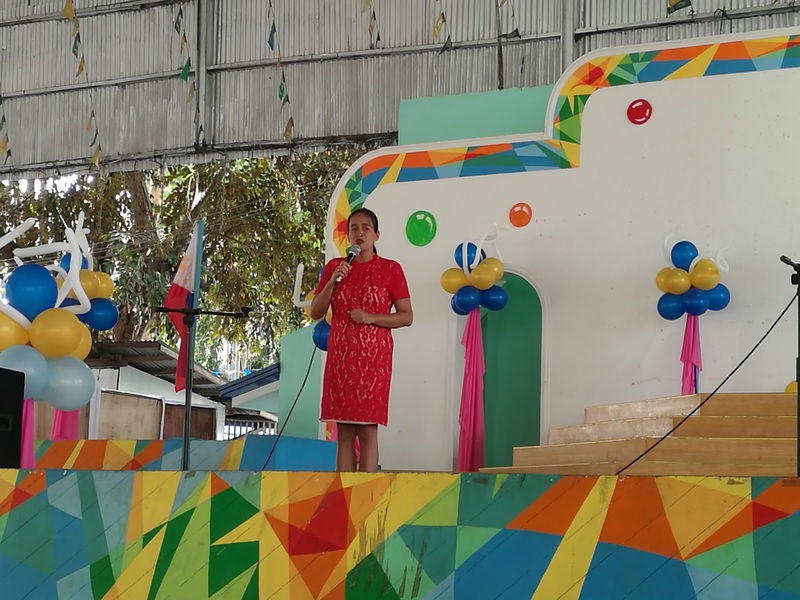 While the contests are simultaneously held, pupils and parents are informed to go to a booth where empty boxes of Ceelin, Growee and Nutroplex vitamins are exchanged with toys. The school admin has a surprise for all pupils (and parents 😍) - Jollibee! Jollibee may not be a book character but he is every child's favorite! 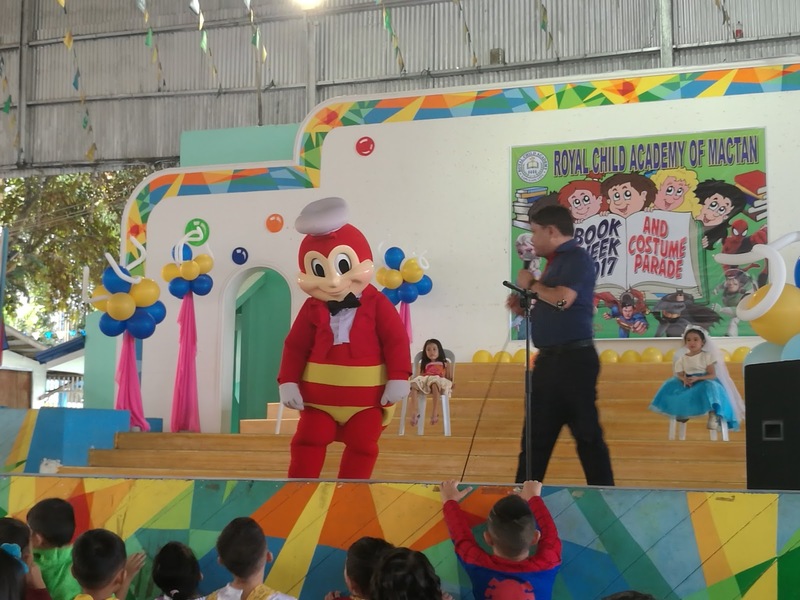 I will post the video of Jollibee dance number later. RCA staff had another surprise. For those who stayed until the program ends, here's a bag of goodies. 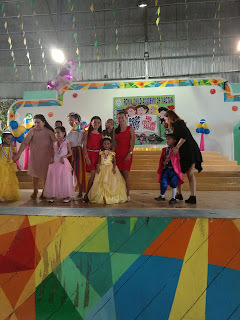 Kudos to the school administrators of Royal Child Academy, you always provide my kids their first experiences.